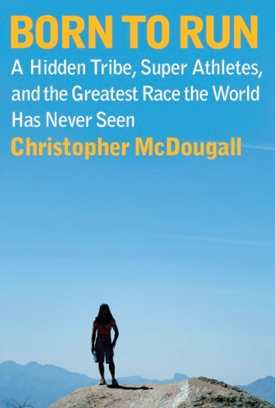 Christopher McDougall connects these two points, and many in between, in a heady confection that encompasses, among other subjects, military history, archaeology, Greek mythology, neat ways to kill a man and ideas on health and fitness that might just change your life. A line from an old M People song kept coming to mind as I read on, the one about searching for the hero inside yourself. The Kreipe caper involved an insane trek across the murderous Cretan terrain, which by then should already have done for the motley crew of poets and classicists who had been tasked with detaining on the island German soldiers who would otherwise have been marching on Stalingrad. Had they failed, the progress of the war may have been very different, as Winston Churchill would later acknowledge. Few of the Special Operations Executive men who joined Leigh Fermor in the Mediterranean could be described as hero material, however: they tended to be, like him, romantic misfits, many of whom might not even have got into the regular army. They proceeded by brain-power and imagination, but on the rugged island of Crete they also needed to hack it physically. And McDougall thinks he knows how they did that. “The art of the hero,” he contends, is the art of natural movement,” and his answer to the question of how the Cretan mob were able to achieve so much boils down to two basic strands: one is the idea that true physical strength comes not from muscle power but from the fascia profunda, the net of fibres that envelopes our bones and muscles and imparts the energy of “elastic recoil” that allowed us to spring across the savannah in pursuit of lunch, as well as chuck the rocks or unleash the slingshot that killed the lunch for us. Learn to use your fascia profunda, says McDougall, and you’ll find yourself able to do things you never thought possible. The Cretans, skipping across peaks and valleys like mountain goats, do it naturally, and the SOE boys, he says, learned from them. The other ancient secret which Leigh Fermor and Co unwittingly accessed, according to McDougall, was the idea of using fat, rather than sugar, as fuel. The fatty-meat, low-carb diet which sustained our hunter-gatherer ancestors until agriculture came along and spoiled everything, has resurfaced from time to time (remember the Atkins diet? ), and McDougall believes it’s the way to go. Cut out those grains, all that pasta and anything remotely sugary, and get some flesh inside you, he recommends. Do that while preventing your heart rate exceeding a certain mark (for which there’s a simple formula) and soon you’ll be lean, lithe and fighting fit. The guru of carbo-loading for distance runners, Dr Tim Noakes, he reminds us, eventually recanted – and, McDougall notes, the SOE boys and their local comrades could cross the mountains on little more than a few nuts and a drop of wine. He constructs a fascinating edifice of ideas around these two notions, and eventually finds a modern-day hero of his own. But the pleasures of the book are as much to do with the fascinating panoply of characters, war heroes all, British, Commonwealth and Cretan, whose exploits contributed so much to Hitler’s downfall.